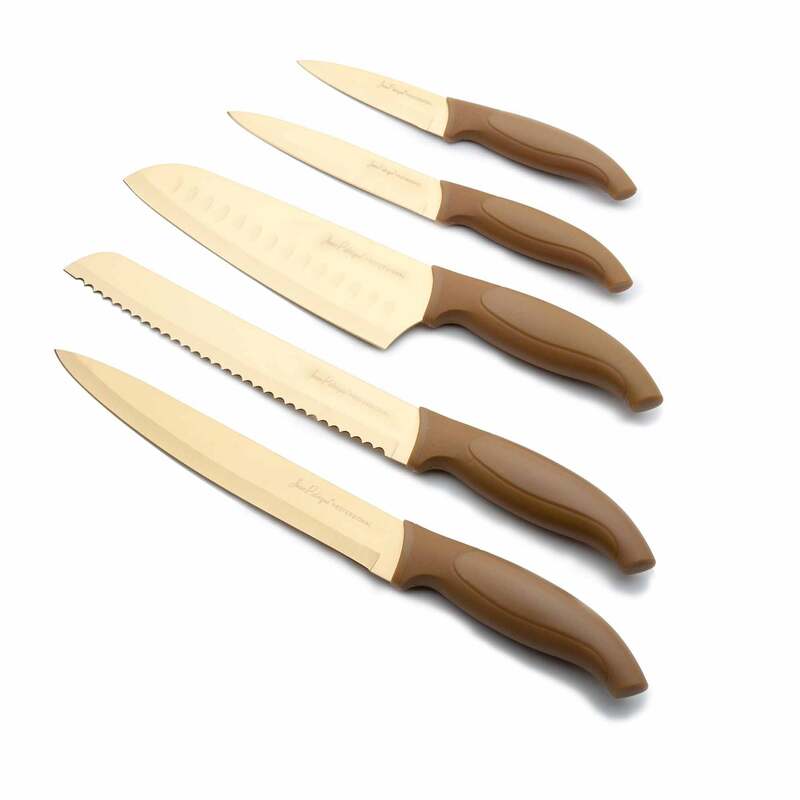 The Onyx Collection 5 Piece Knife Set includes a 3.5" paring, 5"utility, 8"chef’s, 8" bread, 8" precision slicing knife. The set comes with a stylish acrylic and English walnut wooden display block for easy storage and attractive presentation on your kitchen worktop. Featuring stylish black ergonomic handles for precision cutting comfortable for even prolonged periods of use. 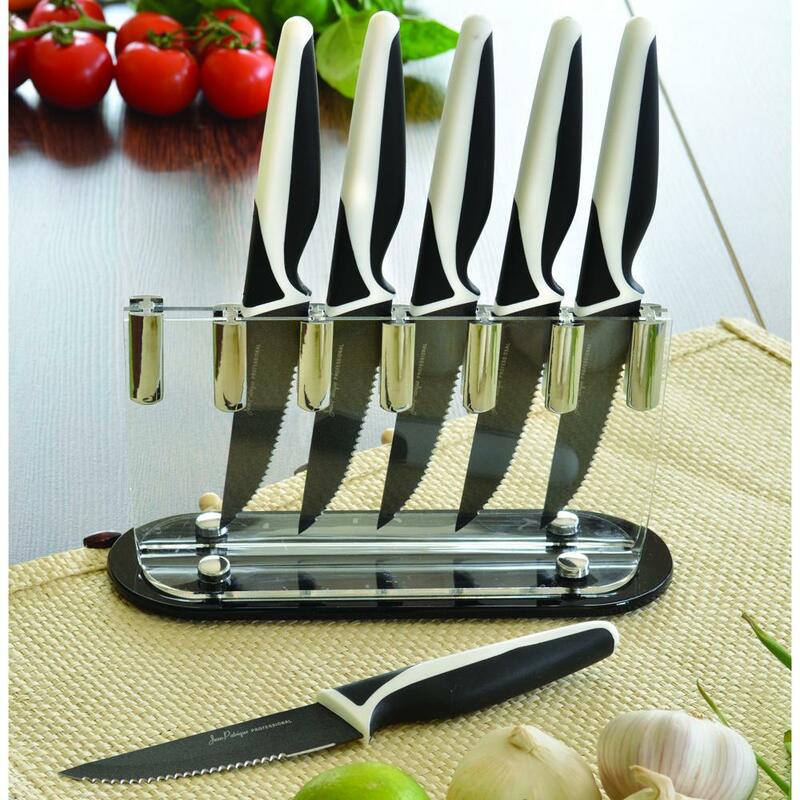 5 PIECE KNIFE SET – Reward your kitchen with this amazing 5 piece knife set, with a high quality razor sharp knife for every use and occasion. 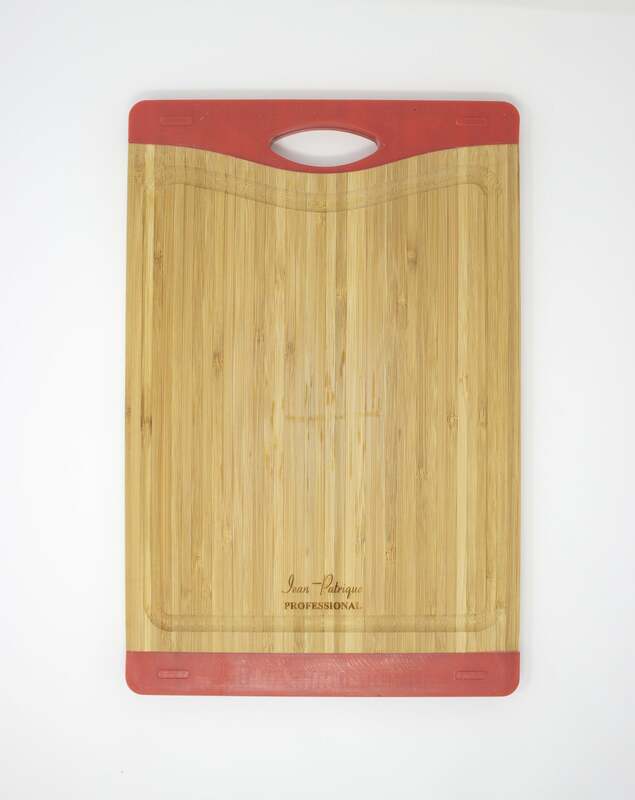 WOODEN DISPLAY BLOCK – This wooden display block is a great piece for your kitchen and stores your knives beautifully. 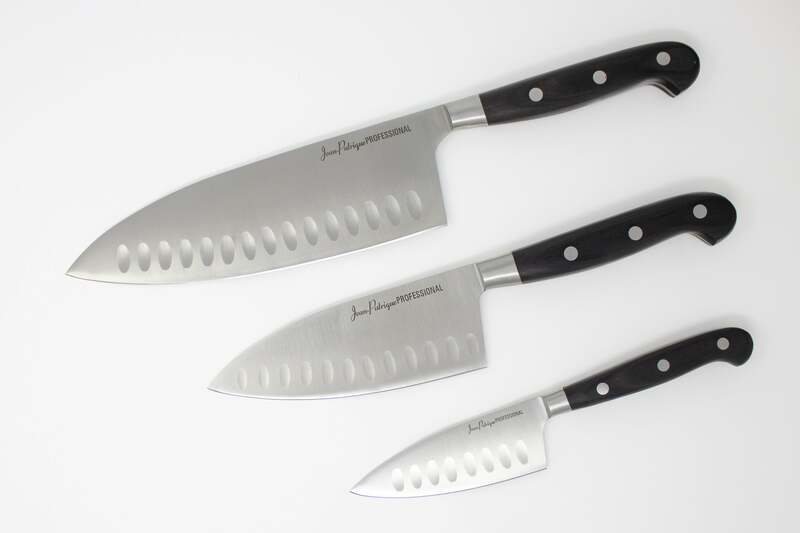 ERGONOMIC HANDLES – The handles on our knives are specially designed for easier usage and a better grip while cutting. 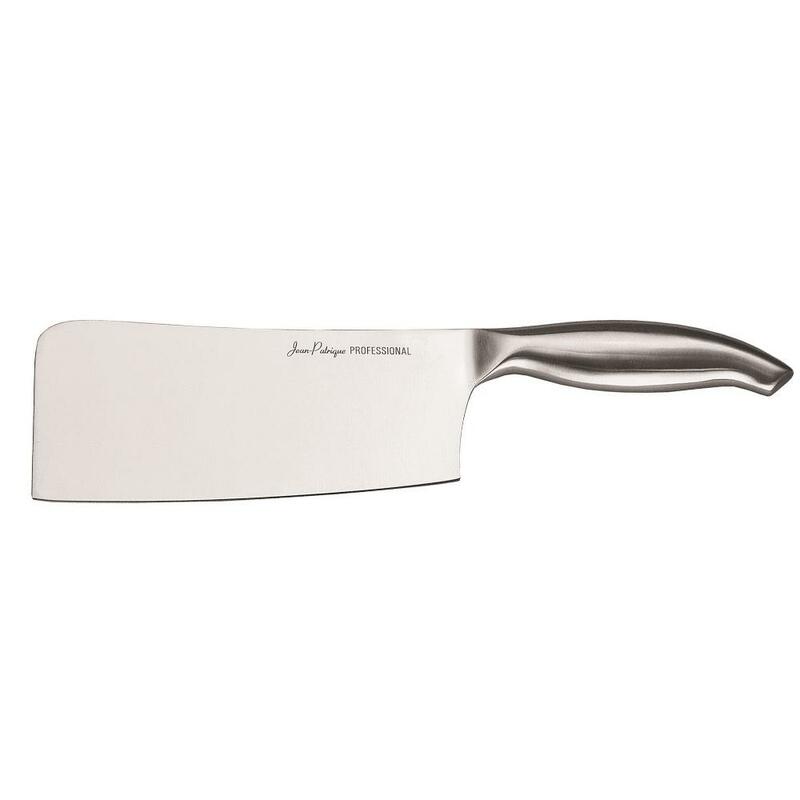 HIGH QUALITY STEEL – Made from high grade 420 stainless steel, with taper ground blades for a strong and sharp cutting edge. EASY TO CLEAN – The impeccable stainless steel allows you to clean the set easily. Just give them a wash with some warm soapy water and you’re done. Very pleased with knives. Didn't realise how bad our old ones had got. I would have given 5 stars but the knife stand was coming apart on delivery, rather than have to go to the trouble of returning my husband glued it back.